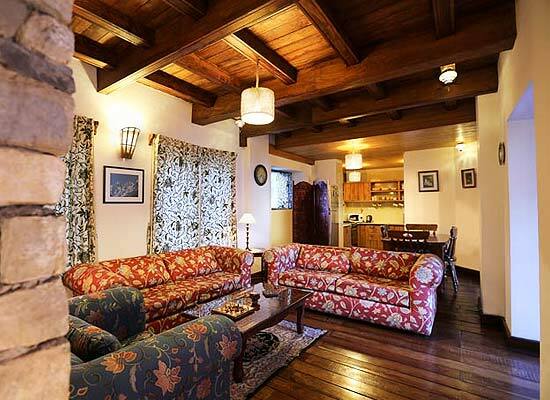 "Rokeby Manor is one of the most historically significant properties of colonial India. 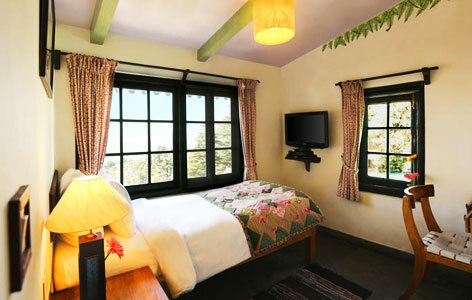 Now existing as a luxury heritage hotel in Mussoorie, the hotel paves way for the tourists who come in here to enjoy a fascinating stay replete with colonial charms and Royal living. The hotel has been revamped in such a way that its original glory has not got lost in the process. In terms of aesthetic beauty, comfortable living and luxurious amenities and services, the hotel is an ideal place to stay in the city. Rokeby Manor was constructed in the year 1840 by Captain G.N. Cauthy as his residence. After few years, the property went into the hands of Lt. Col. Reilly who mortgaged it in the year 1879 to controversial British entrepreneur Frederick 'Pahari' Wilson. Rev. J.S. Woodside, who was one of the chief founders of Woodstock School, bought the property in 1891 A.D. By 1930, the property shifted hands among several notable British delegates and finally landed in the possession of Woman's Foreign Missionary Society of Methodist Episcopal Church. The Church society turned it into a missionary boarding house for young girls who were receiving education in Hindi and Urdu at Landour Language School. It continued to exist as a boarding house for the remaining 20th century before being converted into a leading heritage hotel of Uttarakhand. Log Cabin: This is the most luxurious and spacious room of the hotel. The atmosphere of this cottage is simply breathtaking and the views offered outside are splendid. There are 3 bedrooms in this cottage installed with all modern amenities. Rhododendron Suite: This luxurious suite of the hotel has been crafted in traditional Victorian architectural style. The guests who stay in here love spending time by the side of cozy fireplace in this room. The gorgeous views of tea gardens make one’s stay truly memorable here. Rose Suite: This suite has been designed according to English country architectural patterns and is very spacious and comfy. 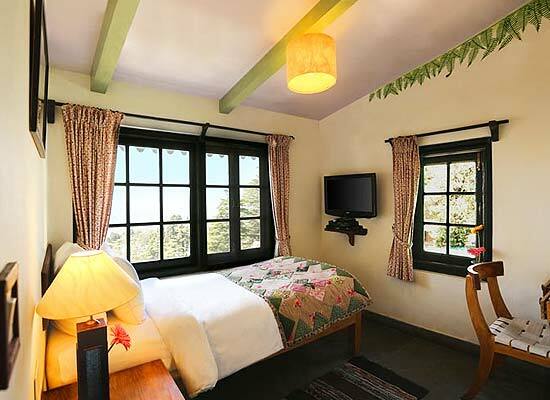 Valley View Rooms: All these rooms offer picturesque sceneries of the valleys. Rustic Rooms: These rooms showcase the beauty of English country Style of architecture and decorations. 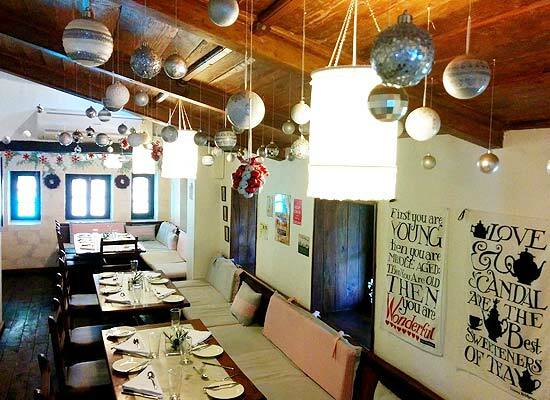 Emily's: The multi-cuisine restaurant serves delicious North Indian dishes along with few classy international ones. Tea Garden: The guests who stay here love coming down to tea garden for evening and morning tea along with some delicious cakes and side-eateries. Mussoorie is a popular tourist destination in India which is surrounded by thousands of tourists day-in and day-out. 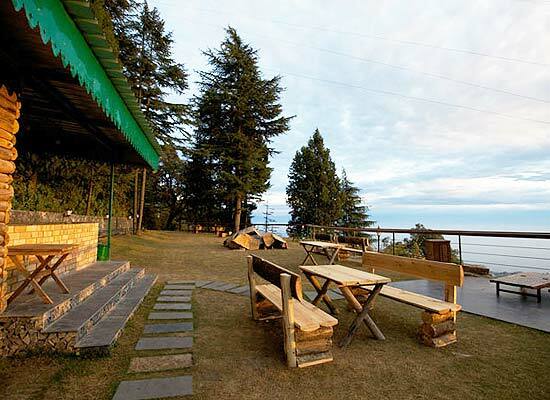 The gorgeous hill station is commonly referred as the “Queen of the Hills”. Tourists are lured to this city because of its exquisite beauty and amazing sceneries. Also the city is ideal for sightseeing excursions. Most popular tourist spots in Mussoorie include Bhatta Falls, Mossy Fall, Mussoorie Christ Church, Mussoorie Lake, Kempty Falls, Jharipani Fall, etc. Tourists also come here to take part in numerous thrilling adventure sports.